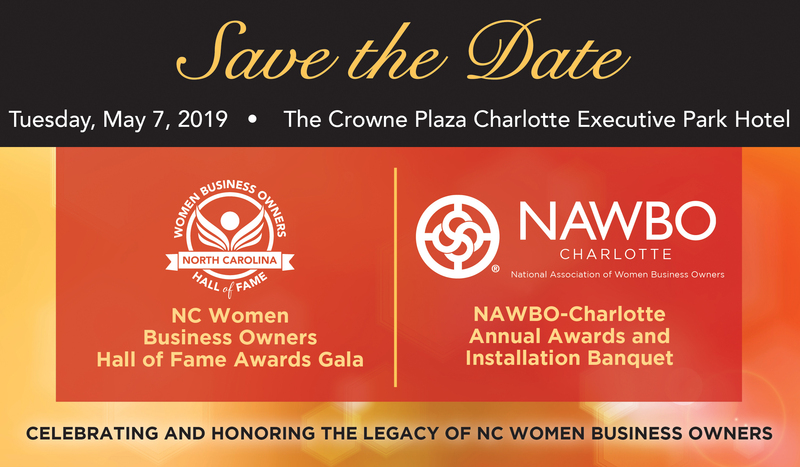 The NC Women Business Owners Hall of Fame Awards Gala will be held along with the NAWBO Charlotte Annual Awards Gala at the Crowne Plaza Charlotte Executive Park Hotel. Don't miss this chance to celebrate the 2nd annual class of the new NC Women Business Owners Hall of Fame! The NAWBO Charlotte 2019 Annual Awards Gala recognizes the significant accomplishments of women business owners. Join us to applaud the success of honorees, provide visibility and recognition of their leadership and innovation, and recognize best practices in business. We have a block of rooms at the Crowne Plaza. Click below to make your reservations with the discount, or call 1-866-380-0612. Guests have until April 16th to make reservations.